Eco movie warriors Ross McD and Ross McG have gone green by putting together a very special environmentally friendly battle – except there’s nothing friendly about it. Which of these nature nurture movies is top of the food chain? 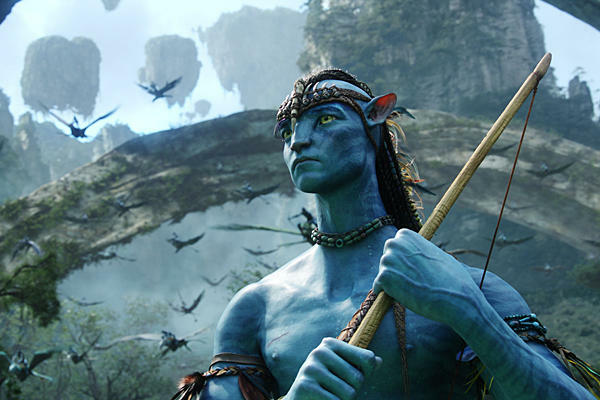 James Cameron’s blue epic…or the film it’s supposedly based on? Okay, let me see… What have we got this week? Oh okay, I’ve got Avatar, the most successful movie of all time. This should be easy. Hope McG has picked some worthy opposition… *checks battle schedule*… hang on; what? Are you serious? Ferngully: The Last Rainforest? Yes I’ve heard the jokes, Avatar is based on it. Well I’ve a better joke about a racist pot meeting a racist kettle. Ferngully strains so hard to be a Walt Disney film it almost gives itself a hernia. A fairy called Tinkerbell, sorry, Crysta teams up with a Robin Williams-voiced genie, sorry, bat and sing along to Elton John, sorry… No wait that’s actually correct. 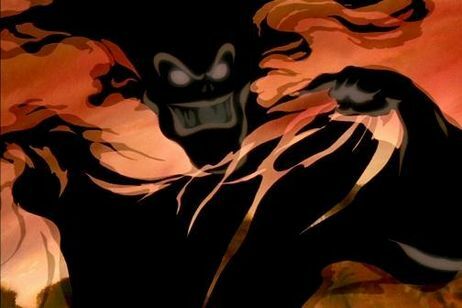 In the film they battle Hexxus (hmmm… who shall we cast as the baddie? How about Tim Curry? More original thinking) who is trapped in a tree, where we are told by the all-wise Magi Lune that ‘There isn’t a force in nature that could release him’. Unless of course the tree is cut down. She sounds about as clued in as you McG. I really don’t need to justify the biggest box-office grossing film in cinema history. It is a labour of love that took 15 years to come to fruition. It was the first film to ever rake in more than €2billion. Cinema-goers literally became depressed with the emergence of a bona fide medical condition, Pandora Withdrawal Syndrome. I’ll be the first to admit the plot was as basic as they come, but Mother of God was it pretty to look at. Hopefully this talk of a trilogy doesn’t fleck it up. What was Ferngully 2: The Magical Rescue like, McG? There are several reasons to dislike Avatar. It has a plot as thin as a razor. It has bad guys who make Krang and Shredder from the Teenage Mutant Hero Turtles cartoon look well developed. And it has lamentably bad dialogue (‘You are not in Kansas any more…’ – I know, I’m in a cinema, watching this crap.) Amid all his laziness, I almost forget that there are big blue talking tigers leaping around. Those who worship at the altar of King of the World James Cameron will tell you that Avatar is amazing because it is fantastic to look at. Well, so is Kelly Brook, but that doesn’t mean I want to talk to her. The lack of depth on offer in Avatar is astounding. I like watching stuff blow up as much as the next guy, but when it comes with zero surprises and no sense of peril it loses its impact. In case you were wondering, oil is evil. This entry was posted on June 23, 2011 at 12:17 pm and is filed under BATTLES with tags Animation, Avatar, Ferngully, James Cameron, Movies. You can follow any responses to this entry through the RSS 2.0 feed. You can leave a response, or trackback from your own site.